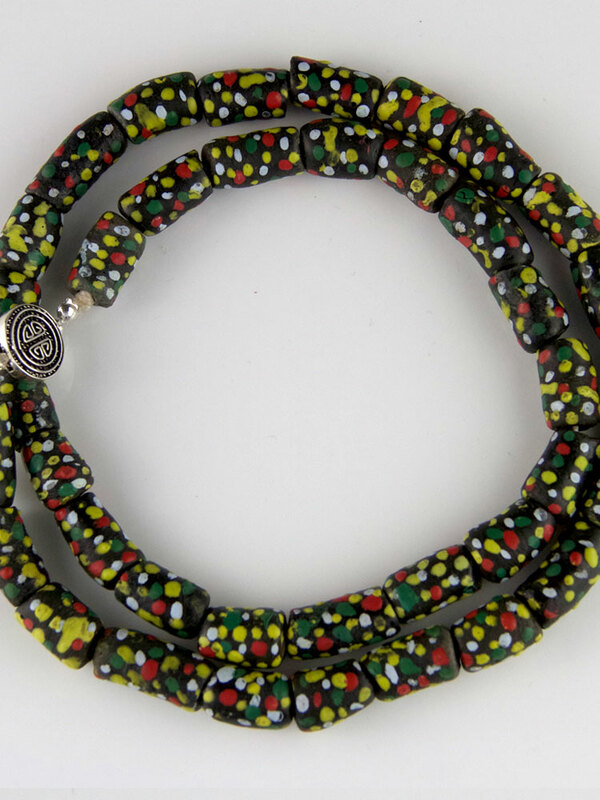 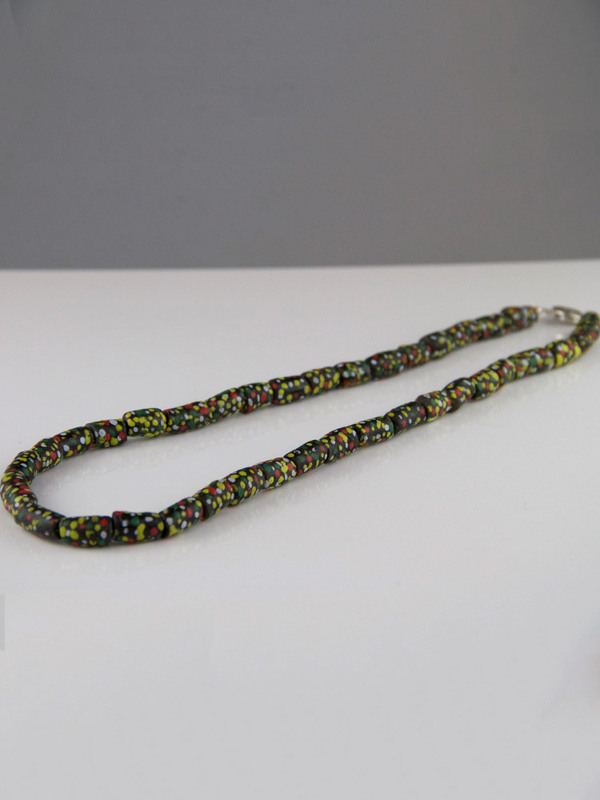 Amazing medium sized polkadot elbow bead necklace, made from recycled-glass beads handcrafted in Ghana, Africa. 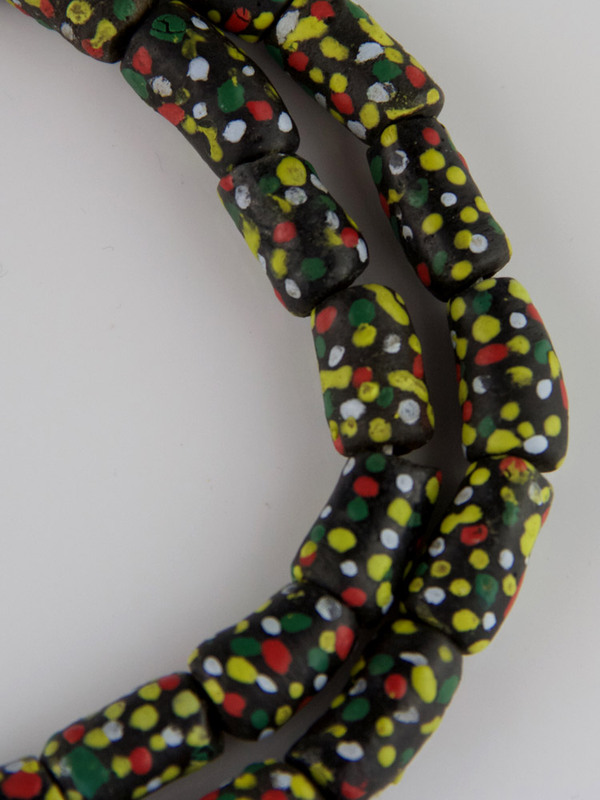 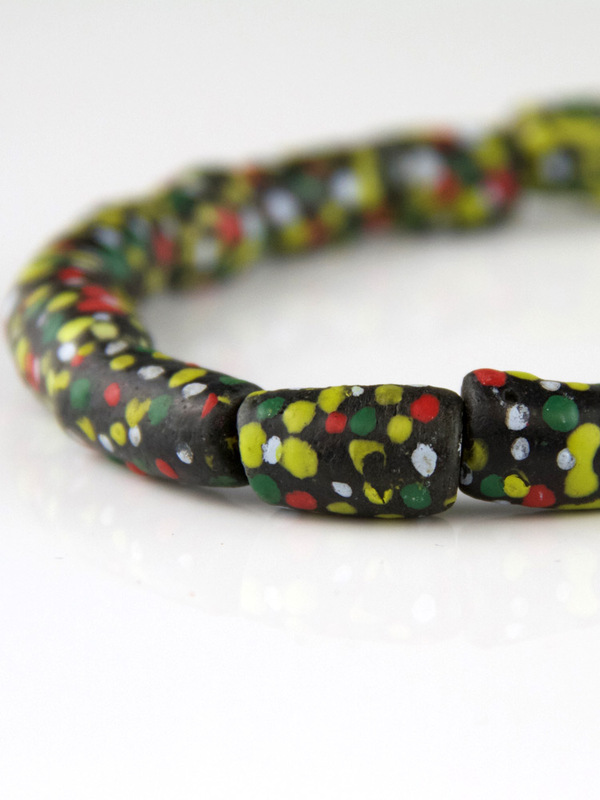 They are a mid-sized deep green/charcoal bead handpainted with green, yellow and red polkadots. 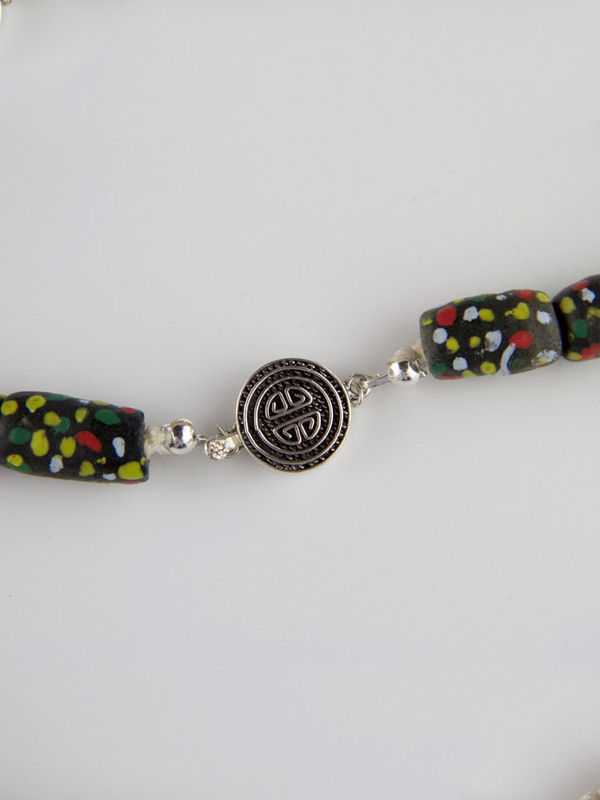 The clasp is a sterling silver and enamel box clasp clasp with two little fish, fittings are all sterling silver. 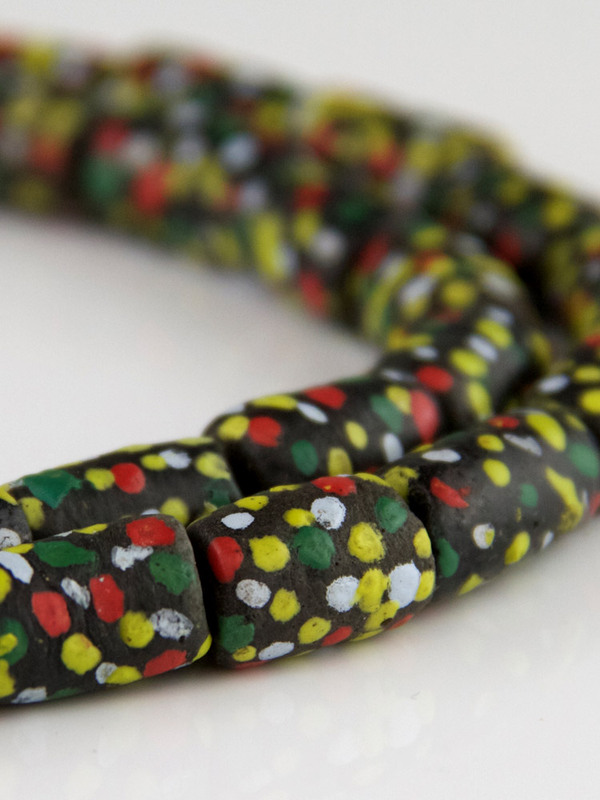 This is an amazing big, bold and bright bead, the pattern has been painted in bright, gorgeous colours in various sizes and densities.